You could go forever without seeing one at any vintage car show other than a prestigious Concours d’Elegance such as Pebble Beach in California or Cobble Beach in Ontario. That said, this year there was a Marmon a recent show that has been owned by Ottawa’s Vic Chartrand for the past three years. It’s only the second Marmon I’ve ever seen, outside a museum, and for that reason Vic had no trouble acquiring the vanity plate 30MARMON when he licensed the car in Ontario. The Model 79 was new for 1930 and replaced the Model 78 that had been introduced in 1928. It was built in several body styles on a 120-inch wheelbase and was equipped with the company’s own straight eight engine making 110 hp. Vic found the car three years ago in Connecticut. The 13-year-old restoration still looked good and the engine had been rebuilt. 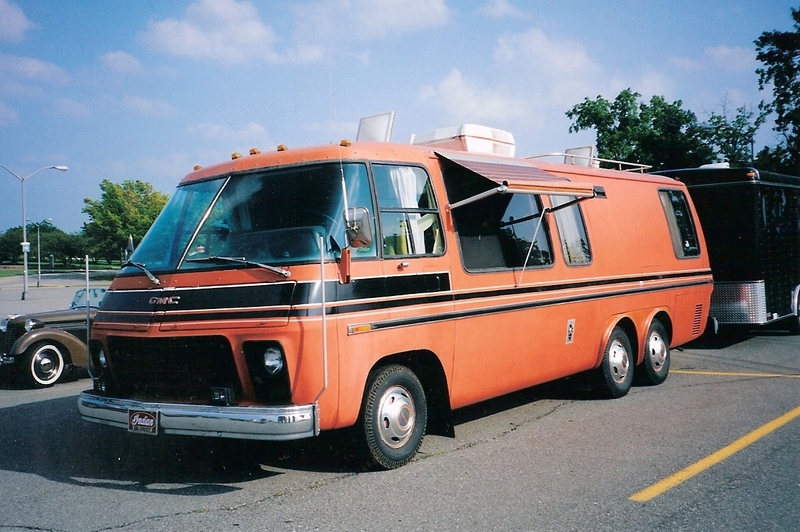 But it wouldn’t run and its American owner was having difficulty finding a buyer. So Vic ended up getting the Marmon for half the asking price. “I was lucky as heck to get this car,” he says. Among his improvements are a hidden electric fuel pump and an exhaust manifold wrapped in heat tape to prevent vapour lock in the fuel line. The day I saw the car it was very warm and humid, but while the engine itself was hot, the carburetor was cool to the touch. Plus a couple of things that were done by the previous owner. First, the replacement interior fabric is mohair, when it should be broadcloth. Second, when restoration of the club brougham’s body was completed in 2002, the original straight eight engine was not ready for installation. So the Connecticut owner swapped it for a finished engine from another Marmon that wasn’t ready for the road. Vic says he has had the rebuilt engine dyno tested and it makes 136 hp instead of its factory rated 110 hp. He also has improved the car’s driveability with the addition of aftermarket turn signals from the 1940s and new 650×19 bias ply wide whitewall tires from Lester. All owners of rare automobiles know that finding parts can present a real problem, so Vic this May travelled to Michigan to bring back a parts car that was in pieces. That purchase already is paying off because the 1930 parts car has the optional right taillight that is missing on his club brougham. Marmon’s parent company was originally a manufacturer of flour-grinding equipment founded in Indianapolis, Indiana in 1851. By the turn of the century it had expanded into other businesses and, as the Nordyke and Marmon Company, began experimenting with motor cars as early as 1902. Under the leadership of Howard Carpenter Marmon, it soon gained the reputation as a builder of fast, reliable cars. In fact, in the early 1920s Marmons were among the fastest production cars made in the U.S., and legend says this made them popular with moonshiners running illicit booze during Prohibition. 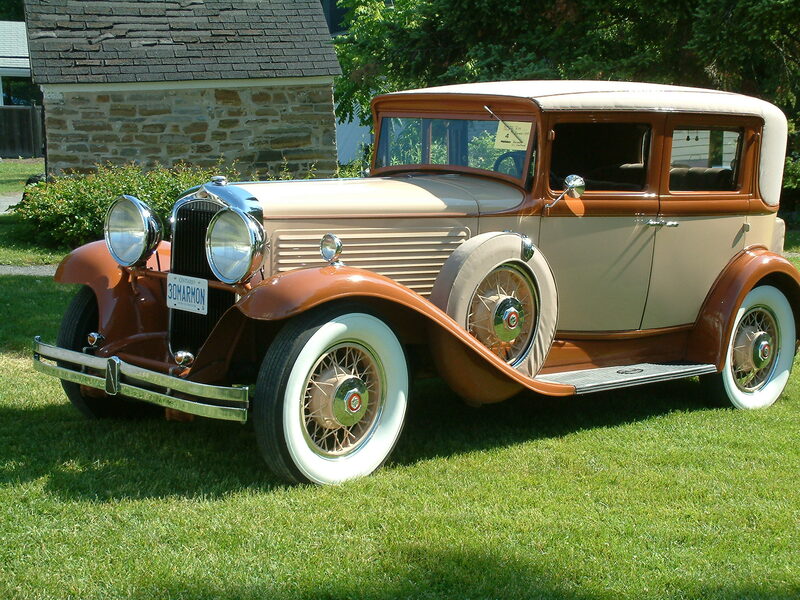 But the luxurious and powerful Marmons were expensive and the company ran into financial difficulties, reorganizing as the Marmon Motor Car Company in 1926. A low-cost companion vehicle, the Roosevelt, was introduced as a 1929 model. Although it was priced under $1,000, it still was powered by a 77-hp Marmon straight-eight engine, making it the cheapest eight-cylinder car in the U.S. market. However, the timing for the Roosevelt was all wrong because the U.S. stock market collapse coincided with its introduction and that led to the greatest economic disaster in world history. From 1903 to 1933 Marmon produced more than 110,000 cars in Indianapolis. Its last gasp as an automobile manufacturer was a fabulous V16 engine introduced as the Great Depression tightened its grip on America in 1931. I will tell its story in a future issue of Old Autos.